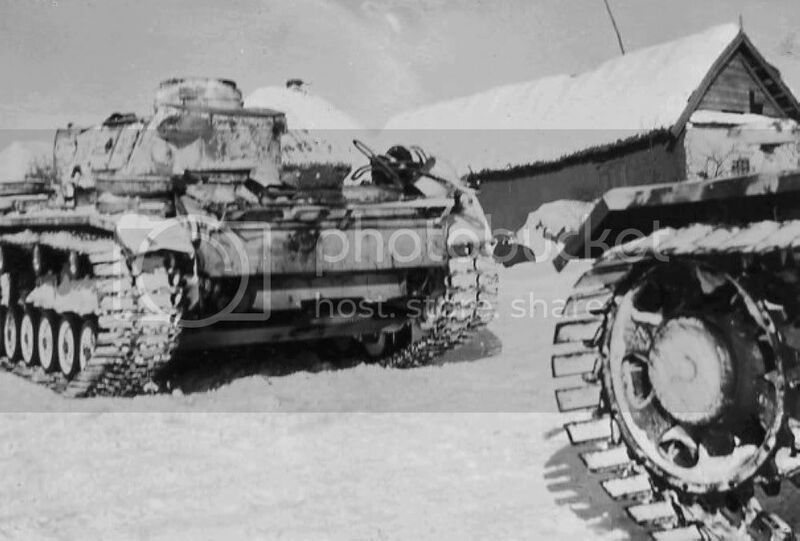 I think cemented ( or face hardened) was used only sporadically in the panzers, for some aplique armor in the panzer III and IV, but most of the plates were rolled homogeneous. 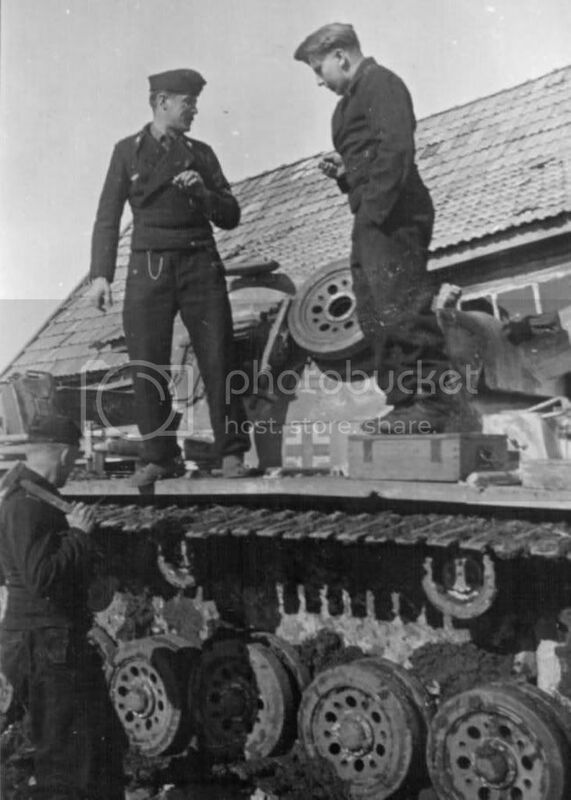 Fabrication of the Panzer III, DW 613 march 1942. Nice, note the broad "ostketten" in the last ones. 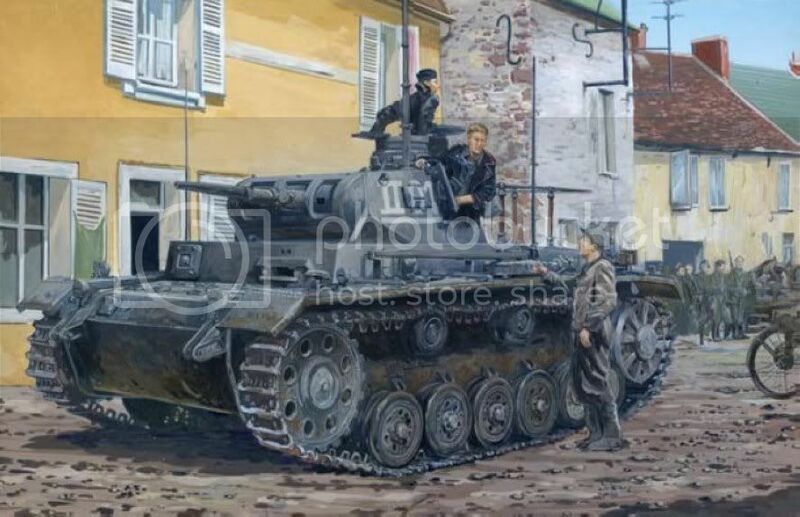 Here you can see a PzKpfw III / Ausf. 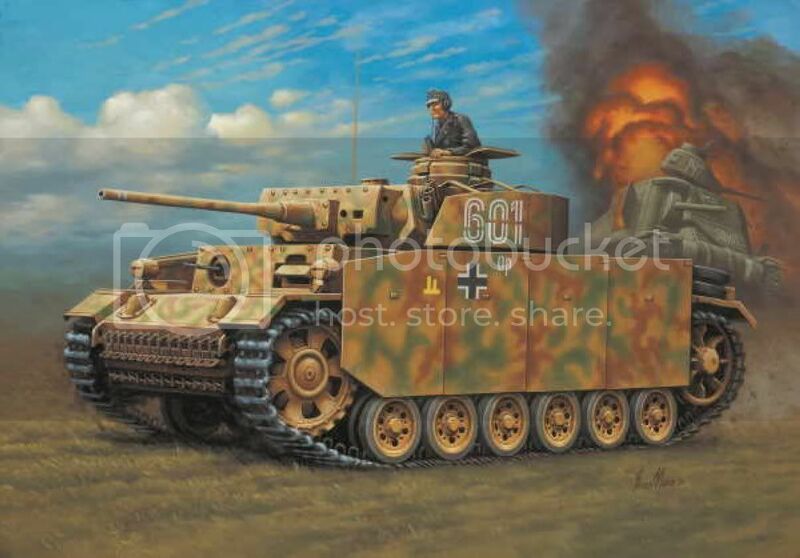 L [you see the pistol self-defense openings beside the storage box on the turret] behind a Tiger tank [note the barbed wire to the sides of the Tiger - i got some more pictures] at the Eastern Front. That is a PzIV --note 8 road wheels and muffler. PzIII E thru N have 6 road wheels; PzIII A thru L have two exhaust pipes on the outside of the back panel lower. Also often no pistol ports on late L through N (retro'd down to L and J). 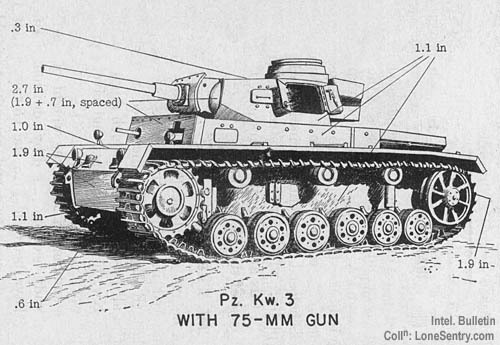 The PzIII D had 8 road wheels and older cupola type (and different mantlet). That image is a PzIII N, without side schurzen (rare). 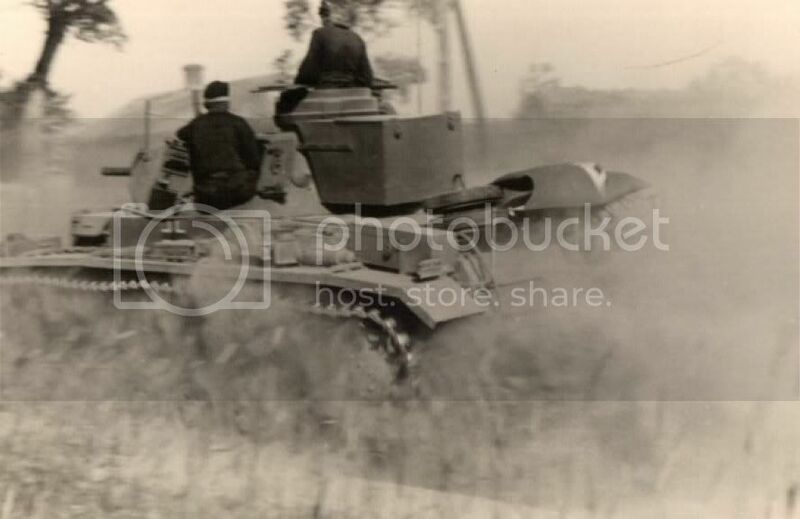 Note its late cupola type and kurz [short] 75mm gun. 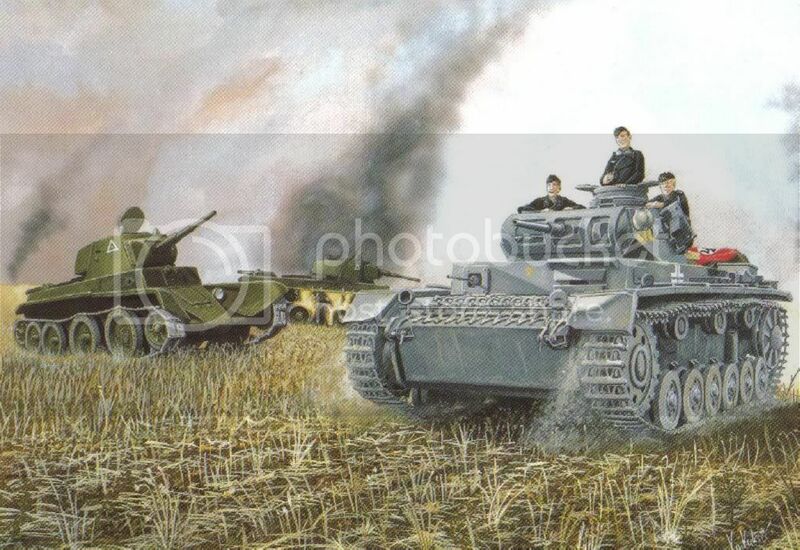 Also note rear turret stowage box ("Rommelkisten"). That developed around the G, produced on PzIII H. Also note no hatch on side hull in wheel bay. All PzIIIs up to Late L had a hatch there in the wheel area. Also see the first return roller is way forward. The A thru G had that back a bit. Nice barbed wire on PzVI! Poor man's Zimmeritt. 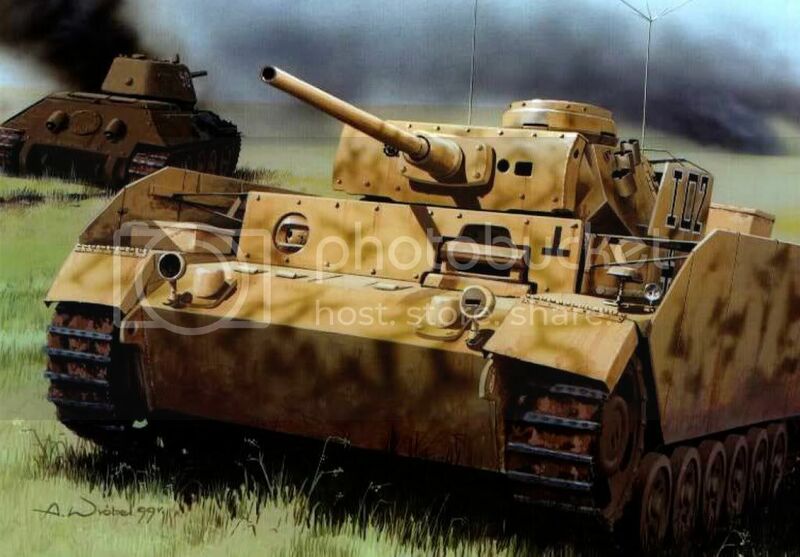 I just want to add to the impecable explanation by Spellir_74 this thing...the "N" was the only 75mm armed panzer III so that should be a good identification tip. 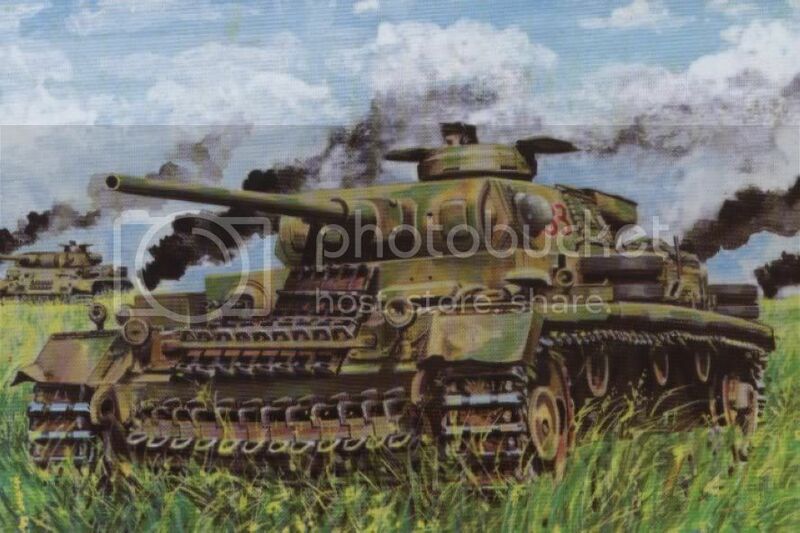 Images of "real" ausf D could be seen in pages 1 and 2 of this topic. Welcome to the site, I hope you enjoy it and we welcome contributions. As a little note though, could you link to the actual post you are replying to as it makes it easier to keep track of what is being discussed. Either reply with quote (you can edit it if it is long or you are just replying to a single part) or just put the post number in as a reference. Welcome Tankist, always good to have more Tankers on the Site. Posting to very old, or otherwise inactive threads makes following the conversation a bit difficult. Do use the "Reply with Quote" button (under each post, right side) As Leccy says,this will make things flow a bit better. Enjoy your visits here, lots to see!